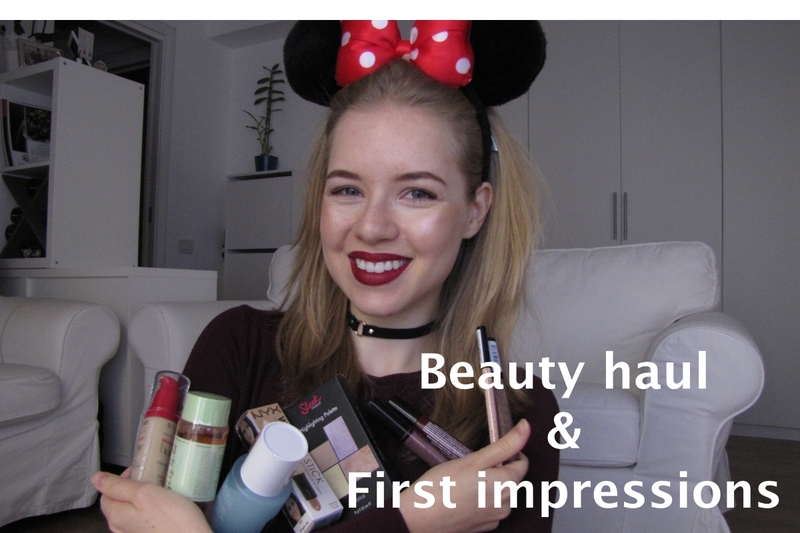 Let's mix it up a bit and put together a haul with first impressions, this way the video is more fun and you get to see what I feel about these products. In this video you'll see me apply the products and find out which have wowed me. I adore thsi Clinique lotion! Oh, that Clinique claryfing lotion is just beyond universe! Love this product! Anyway, I love Clinique beauty and make-up products. Have you tried something else from them? You are so pretty on the video! I heard so much about La Roche Posey Effaclar range but sadly it doesn't agree with my skin. I love the brands, La Roche Posay, Pixi, Clinique - one of my favorite brands, in fact! Loved the Minni Mouse ears :) Hope you have a very nice day! I love NYX Liquid Suede however I find Lingerie to be drying on the lips. You got an amazing haul! I was meaning to pick up a NYX Lip Lingerie yesterday and totally forgot - oops! You really suit such a bold red lip by the way and those minnie mouse ears are too cute!! Wow I really love this Post! The NYX cosmetics are amazing! Great post, like the Video will try some of the products. I'm so in love with the sleek highlighter, it is just so so good! I really want to try the pixi tonic now though! You got fantastic products. I adore the clinique clarifying product. What a great haul! Wishing all the products are available in my country! Thanks for your wonderful comment! Esse gel da Effaclar deve ser maravilhoso! Such a cute video! The lipstick looks great on you, I really need to try NYX!